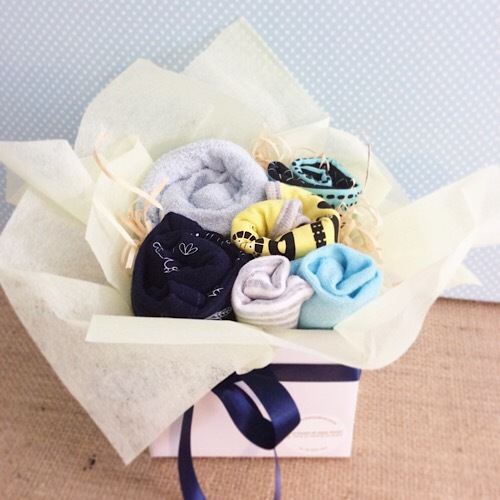 A gorgeous box of Baby garments in cool colours gift wrapped to look like flower buds. 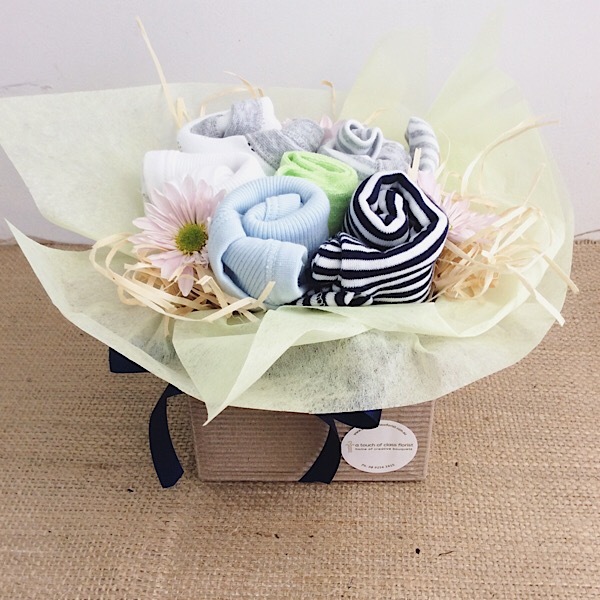 Perfect to welcome a new little one into the world. Items may vary slightly but will always be to value and style. 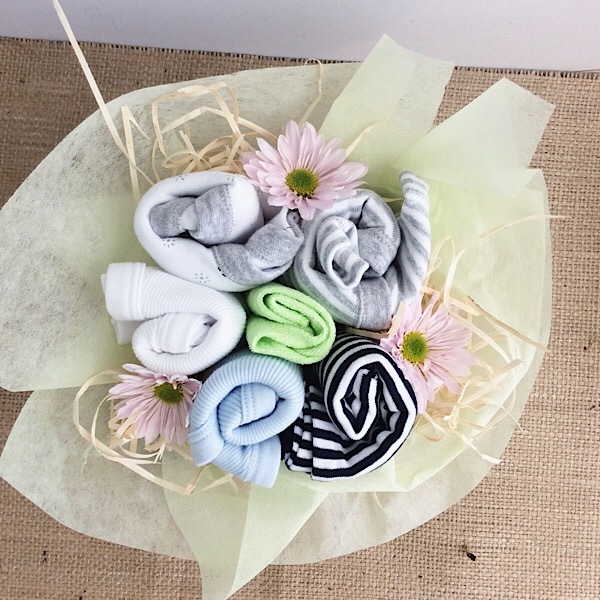 The 6 items used may include body suits, vests, hats, socks and bibs. 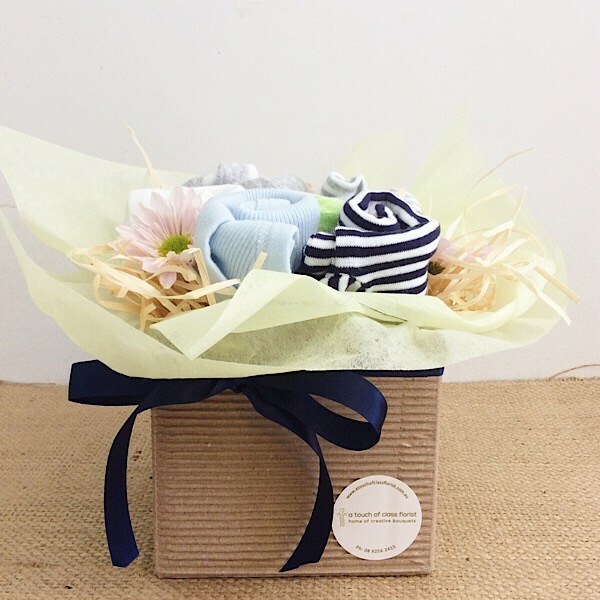 Upgrade to a deluxe value to include a Bright Jam Jar of beautiful fresh flowers.